For some reason the start of Hanukkah is marked on my calender, but not the end. Guess the calendar makers didn't want the fun to end. (JK) Maybe because the holiday is always eight days long? Actually, most people do not know this, but TODAY is the last day of Hanukka. I will explain. Jew's days end at sundown, (nobody REALLY does that!) 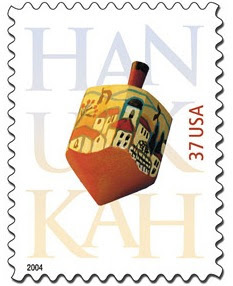 and on holidays, like Hanukka, the last NIGHT is when you celebrate, but it is still Hanukka until sundown today. Happy Hanukka!!! I got to light the candles...pretty kewl stuff. We had awesome swirly-colored candles! FWE! Eh, too bad it's over... I love lighting the candles. You celebrate Hanukkah???? I did't know that.